PhoneWords is a utility to help you find what dictionary words can be derived from a telephone keypad. 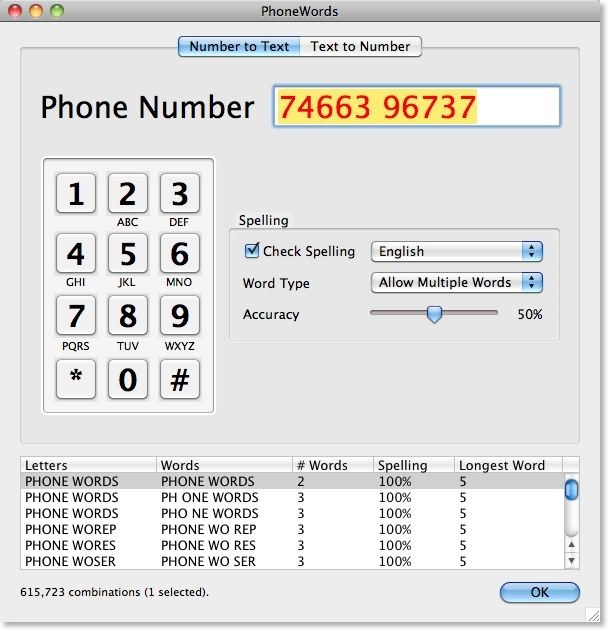 Type in a phone number and display all the word combinations for that number. This may help you choose an easy to remember phone number when moving, or help you advertise your existing number. Every phone number may have tens of thousands of letter combinations. PhoneWords lets you find which of these are real words – in seconds. Choose a dictionary language from English (US), English (British), English (Lite), French, German, Icelandic, Italian or Spanish. Set the dictionary to look up the number as only a whole word or allow multiple words. Set the spelling threshold of the returned words. So over a certain number of the words must correct, but some are allowed to be incorrect spellings. Convert any text into its equivalent number based on the most common keypads types: Australian Classic, International Standard, Mobile 1, North American Classic and UK Classic. When you have paid for the product at the PayPal web site a download link will be emailed to you. 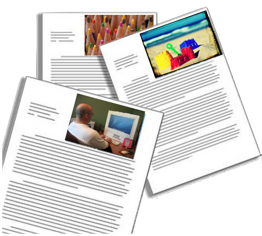 This email will link to copies of the program for Macintosh, Windows and Linux. Ignore the versions you don’t need. If you have any problems buying, downloading, installing or using the utility then please contact HMS. [New] You now have two extra columns, one for the total number of words in the combination (whether spelled correctly or not) and the number of letters in the longest correctly spelled word. [New] You now have the ability to cancel the current progress. [New] You can now open multiple phone number windows, each with a different number. Only one calculation can run at one time. [New] You can now include spaces, # and * along with your numbers in the phone number, but they will not be translated into characters. [New] The list of resulting combinations now sorts by Percentage of correctly spelled words (as before), then within this, longest correctly spelled word. You can click on the column headers to change the sort order. [New] A progress window now appears showing you how far through the calculation you are. [New] A keyboard on the window allows the entry of text as it if was from a phone keyboard, showing the text combinations. [New] A description of how the different keypads translate (or don’t translate) numbers to text is included in the Text to Number tab. [Fix] The text combinations and correct spellings are now written to an SQLite database (rather than memory) for faster access and an unlimited number of possible combinations. [Fix] The forward delete key now works when editing a phone number. [Fix] Phone Number text appears red as a warning when longer than ten characters. Excessively large number can take a long time to process due to the large number of character combinations. [Fix] Each word combination is now display on its own line, making it easier to read the alternatives and see which words the percentage relates to. [New] First release on the web site. 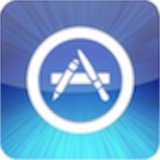 [New] Submitted to the Apple App store. [New] Uses a percentage of spelling accuracy. Of all the possible phone Words, there must be that percentage (or more) of the words in the selected dictionary. [New] The Spell Check can be set to check on the phoneWord as a whole, or divide it into all possible multiple-word combinations. [New] Spell Checks all phone Words based on major language dictionaries (English, English (British), English (Lite), French, German, Icelandic, Italian and Spanish). Note that these dictionaries are not fully comprehensive. 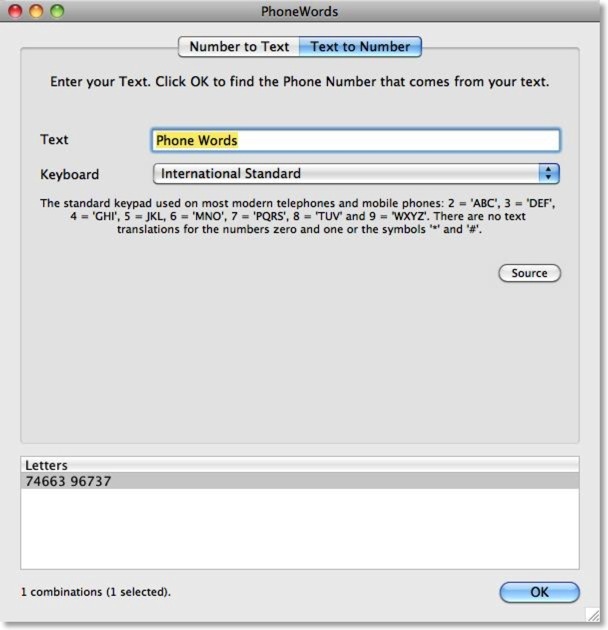 [New] Converts a Phone Number into all possible phone Word combinations then Spell checks the resultant combinations. [New] Convert a word to a keypad number according to the most common world keypads (International Standard, North American Classic, Australian Classic, UK Classic or Mobile 1).